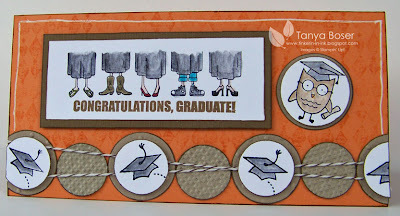 Tinkerin In Ink with Tanya: Go Grad Circles! Graduation time is upon us! Time to pull out all 2 of my graduation sets ;) I didn't even buy this set until it retired, I don't know why since I had a kid graduate myself last year, and 2 the year before! 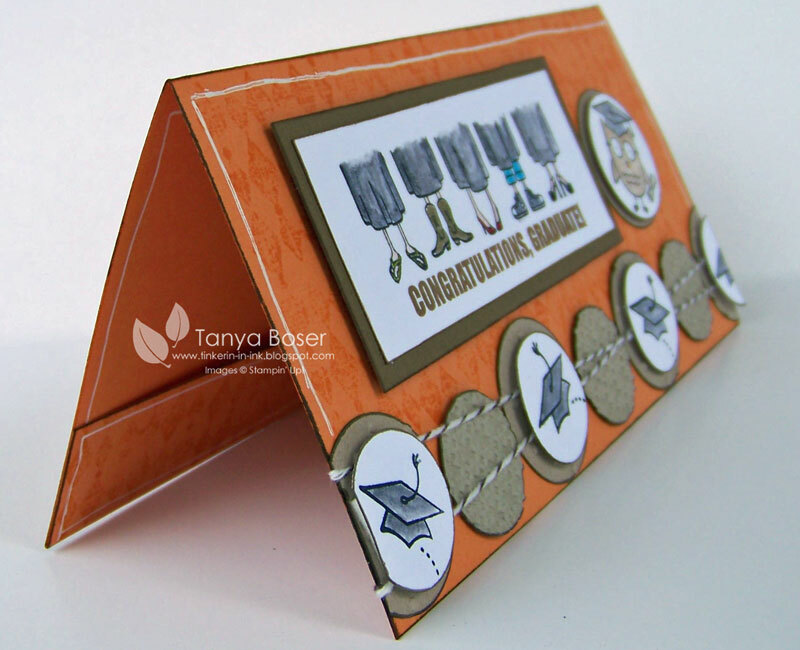 So, have I got you thinking about getting your grad cards done? 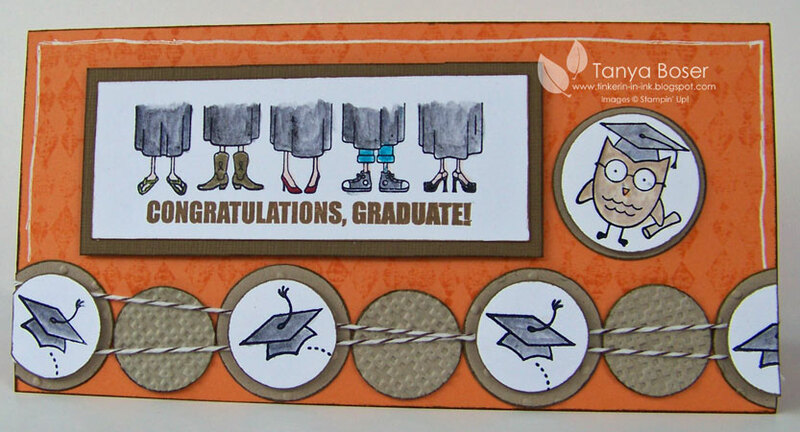 Oh, and the Go Grad set is still available as a download for My Digital Studio, so if you love it and don't have it, you can still get it that way ;) Just go to my demo site and order online! That is such a fun layout, and great use of that set!! 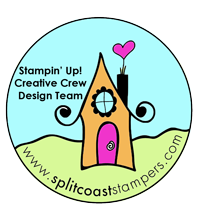 Way to cute and a fun layout! Very cute! I like the line of circles, especially with the twine going across that way. TFS! Love this card! I like how you used the texture on the circles and your row of circles is perfect! Love the layout, Tanya. The circles at the bottom rock! I love this stamp set. I really like this card! Lots of touchable elements and great colors. I love the circles--they add the perfect touch--I love it!